Happy Fourth of July weekend, my American friends!! 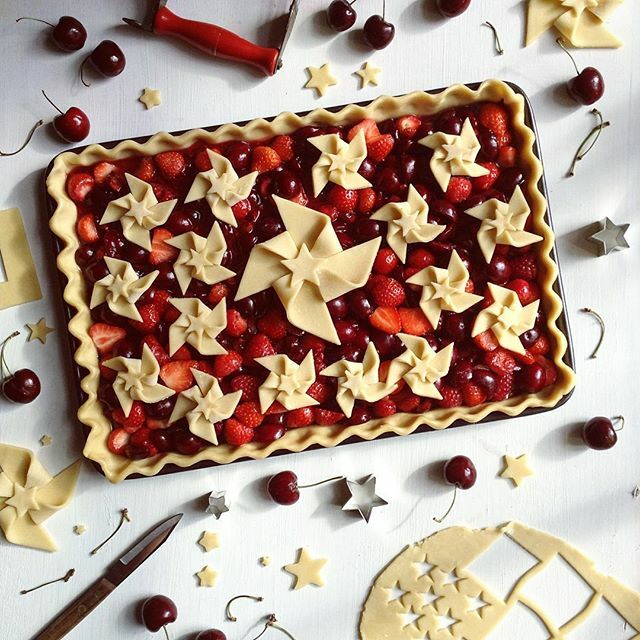 I've made you this Patriotic Pinwheel Slab Pie to help you celebrate. It was supposed to be "just" Cherry, but I miscalculated how many cherries I needed. Luckily I had some Strawberries and Raspberries to pad it out. The recipe linked here is for a similar slab pie.